The ducks are the same ones featured a few weeks back with the remaining baby all grown up and hard to distinguish from its parents. 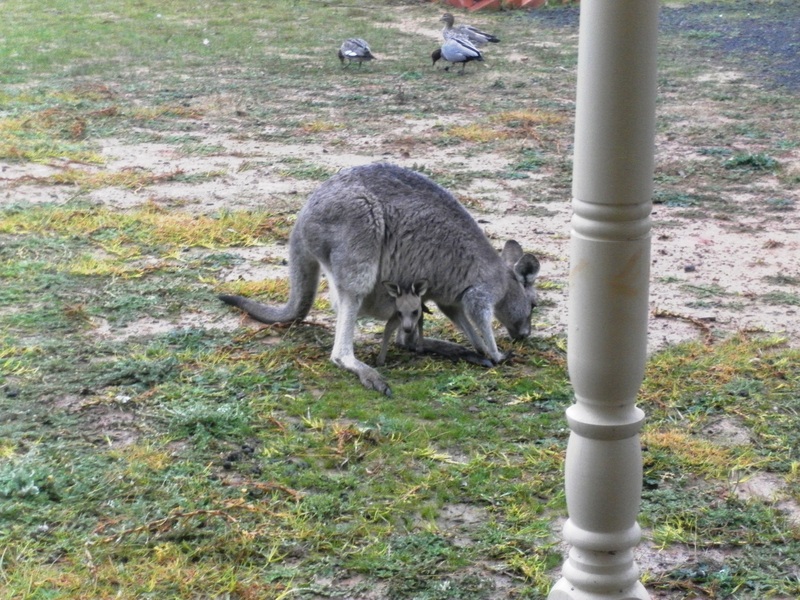 Mama Kangaroo lets me get only so close, so I took this one from inside the window. When I went outside,little Joey decided he was camera shy and popped his head back in!